I keep thinking about some Yeats I read a while back. Of course I thought I was the first one to be driven to distraction by this poem, that I had stumbled upon something secretly mine, to turn in circles inside my head like smooth stones you might pick up along the railroad tracks and keep in your jacket pocket just because they make a nice clicking sound. Naturally it’s actually quite famous, the subject of a mountain of literary criticism and analysis. There goes my clicking stone uniqueness, alas. Still, the beauty of great poetry and prose is that it catches you wherever you are in your life and from there, osmosis. It becomes personal. You finish reading and you are changed. Years go by and you pick it up again- but instead of being transported back to where you were when last you visited these words, you feel the present more acutely. Things are not the way they used to be, and maybe they were never how you thought they were, anyway. You are changed, again. Poetry is like walking into someone else’s photo album. Each poem is a snapshot that you can stride around in, or hide from but still kinda peek out from behind the curtains, or back the hell away from and be grateful that your album doesn’t look much like Bukowski’s. From a practical standpoint, poetry is also mostly short. So when you’re drifting around the DC metro area like lost ship looking for port, you can read and be moved by something in its entirety and have your head out of the clouds in case you think you see something shining in the distance. I think the reason Yeats has haunted me is because I’ve had to ask myself what I am a whole lot lately. Who I am and what I do have always been one and the same. Cellist. That’s me. Heck, I’m so cello-y that people pay me to play it. That’s what I would have said around 2000. Then my injuries called in their accounts, and my performing career began to wobble. I started intensive physical therapy and paraded around Los Angeles with complex zigzags of KinesioTape all over my shoulders and down my arms. I was never pain free, but I was able to barrel through. 2008 brought about two major life developments: my teaching started taking me all over the country, and my left arm lost nearly all sensation, save the shocks and tingles of a protesting ulnar nerve. This was also when I started getting the most meaningful (in terms of money) work yet: movie dates. As I was driving home after one particularly gnarly session, my hand fell off of the steering wheel, and I ended up driving on the sidewalk. It scared me enough that I stopped taking doubles and symphonic gigs until we could figure out what was going on. I was not going to be a liability to the people around me. I focused on building the studio, writing a book and racking up airline miles. My life was still all cello, all the time, though the focus was starting to shift, and I was only losing sensation in my arm as time went on. I decided to have risky surgery on my arm in the winter of 2009 as a last ditch effort to return to full strength as a performer. I had been given a few other viable career options, some in music, some in aviation, some in other areas of showbiz. It was also at this time that the bottom fell out of the economy and like so many others, I found myself with a decimated studio and a very quiet phone. My arm felt great, though. 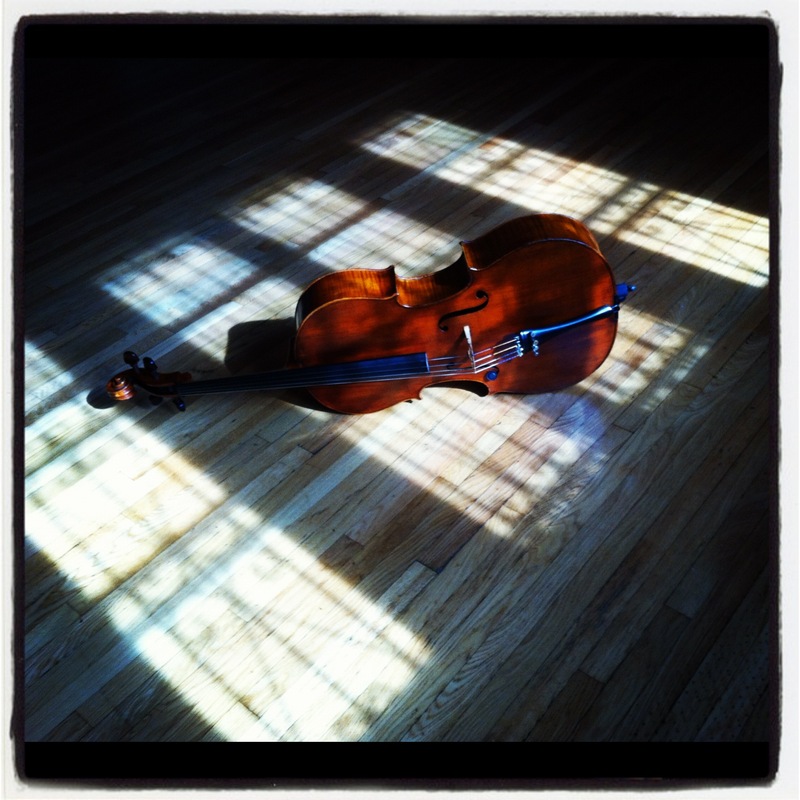 So I practiced and applied to grad schools to become Cello+. Still very cello-y, but with a set of skills and knowledge that might allow me to remain in music and still make money. Crisis averted, ego appeased, identity intact. I landed in Baltimore in 2010 with a bang. ASTA welcomed me with a seminar. Friends from Twitter networked me into a steady gigging schedule. I couldn’t take many students because of my Hopkins obligations, but I saw it as a temporary condition. My life was full. Of school, of dancing, of new friends, of rock and roll. If you hadn’t known me before, you’d have thought I was a cello hobbyist, but I was too busy to care. As soon as I graduated (in fact, 2 months before I technically finished) I was battling my way back into a life of music. The problem is, the DC scene didn’t want me, and academia largely rebuffed me in favor of more suitable candidates. It has been nearly a year of hustling and trying not to compromise who I am with what I need to do in order to maintain a career. Hey Yeats, I AM the chestnut tree! I AM the dance! I am a cellist! It’s more difficult to believe it some days. Days when you accept you can play for about 3 hours before the feeling slips out of your hands. Days when stiffly worded emails flood your inbox, reminding you that friends within the music scene are competitors first, friends second, and no, please do not apply for the position you see advertised. Days when you fill out paperwork to work at menial positions that are diametrically opposed to everything you’ve done before. Those are the hardest. It started to feel like my market value was zero, and that it was a lie when I told people I was a cellist. Sure I play, but I also eat: does that mean I’m a food critic? It was days like those that my students kept me alive. They were the thread that reminded me of my foundation, of the kid who started cello in third grade and never looked back. So why was I looking back? And why was I characterizing myself in the third person? The tree is the leaf and the bole. The dance does not exist without the dancer, and neither of them need validation to be those things. They cannot help it, it’s just what they are. And like that, I started moving forward. Because this is not a movie, there was no montage of sudden brainwaves, strategic phone calls and a makeover scene where I look better without glasses. But instead, I just kept chugging along, feeling all of the mixed emotions and doubts, but not letting them define me. Of course you should feel pressure when you encounter obstacles. The trick is knowing what to do with it. Does it flatten you? Or is it a gift that is specifically designed to test your devotion to what you love? For me it was both. I lay flattened in the road for a few months, just doing my best to proceed in the least graceless way possible. It was hard to imagine anyone would forgive me for not being upbeat, not having exciting developments on the horizon, not building my stupid brand. The instant I stopped worrying about it and surrendered to the fact that this may not be a very cello-y part of my life, I was offered pretty much the only job that would allow (and in fact, encourage) me to continue building my studio, giving workshops, fighting with bow rehairs, and yes, even writing more books and practice guides. It was not easy to let go of my attachment to the label of cellist by trade, but it’s what I had to do in order to get back to actually being one. pictured: Esther, at the Butler center, on loan to me from the brilliant Louis at the Potter Violin company. This is such a heartwarming and inspirational post. Your journey, constant and ongoing, shows us all that there are ups and downs and reinventions, and sometimes there is acceptance of something less than glorious before the universe hands you a 180. I admire you greatly for being able to ride all of it.